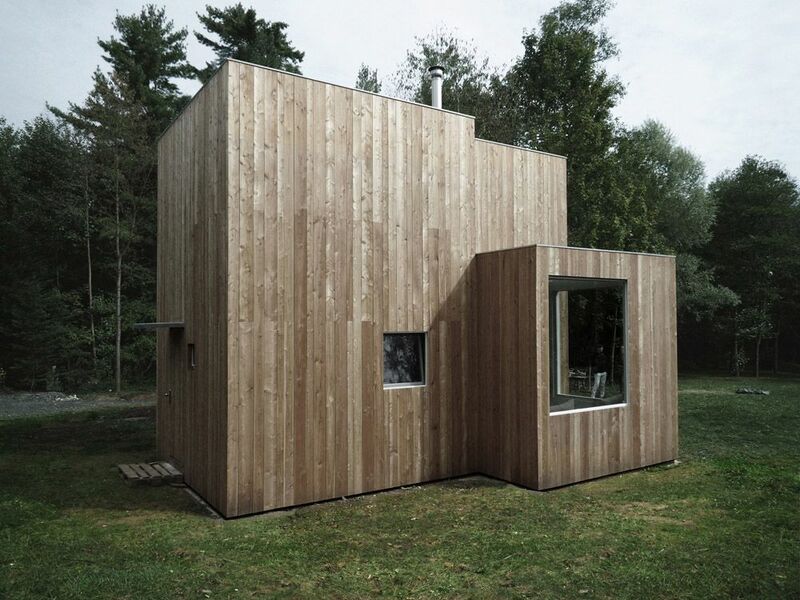 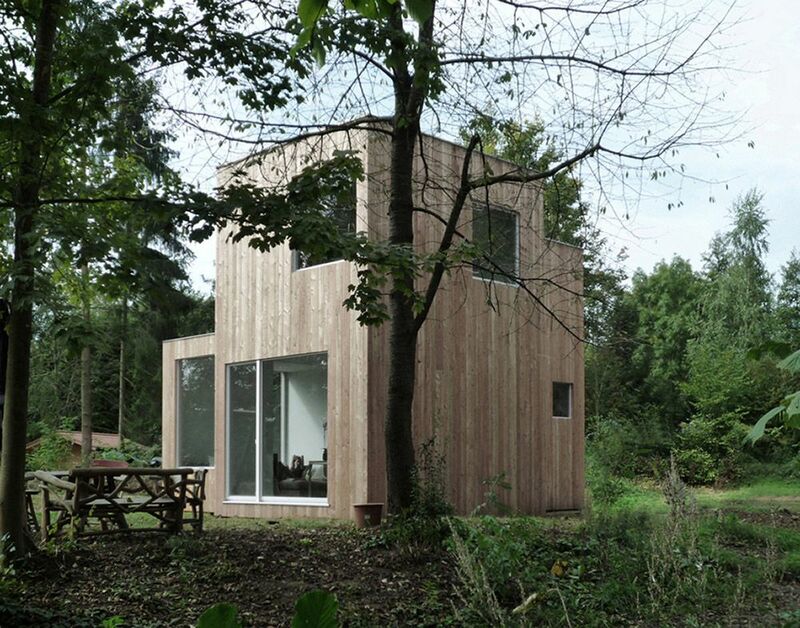 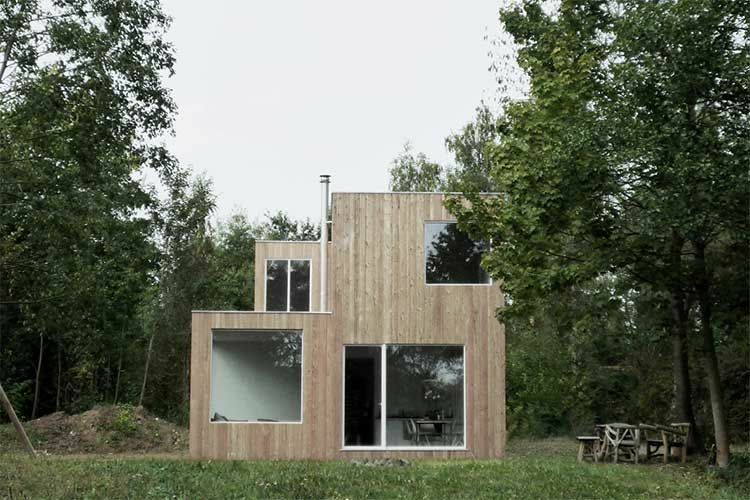 This weekend house is located on a scenic lakeside property in the county of Hungen, about 40 km north of Frankfurt. 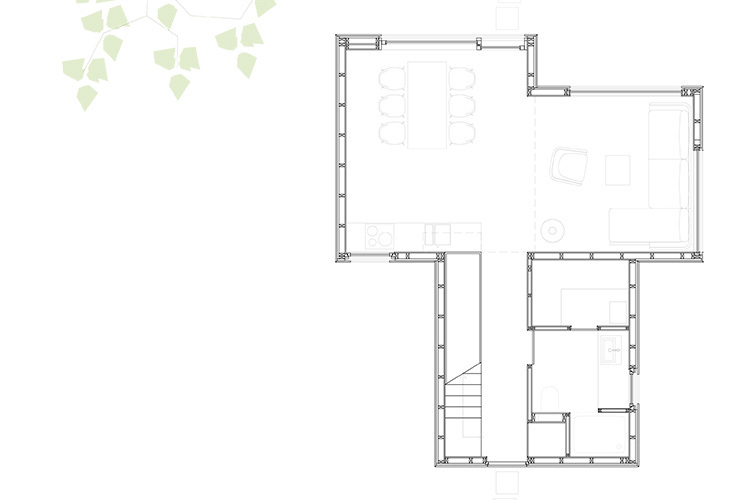 The design maximize a light-flooded continuum of space on a footprint of only 50 sqm. 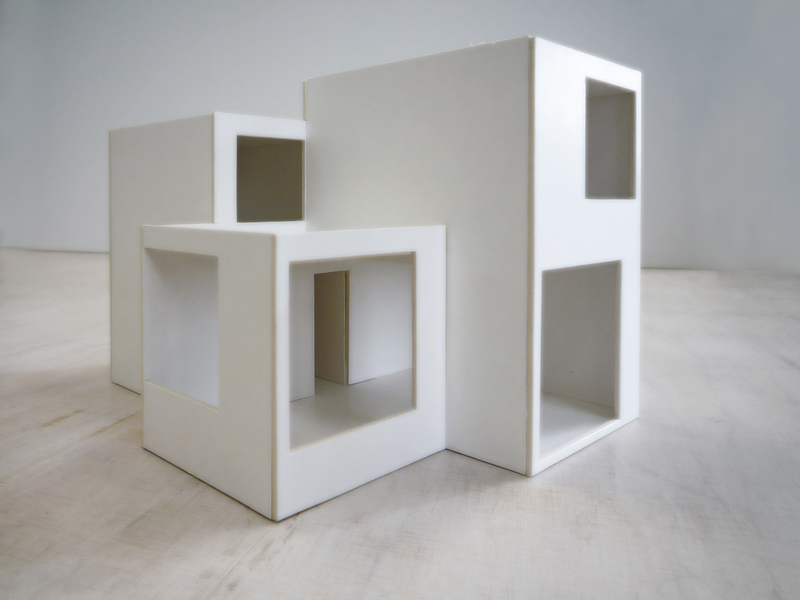 The overall volume is organised by three cubes of different size and height. 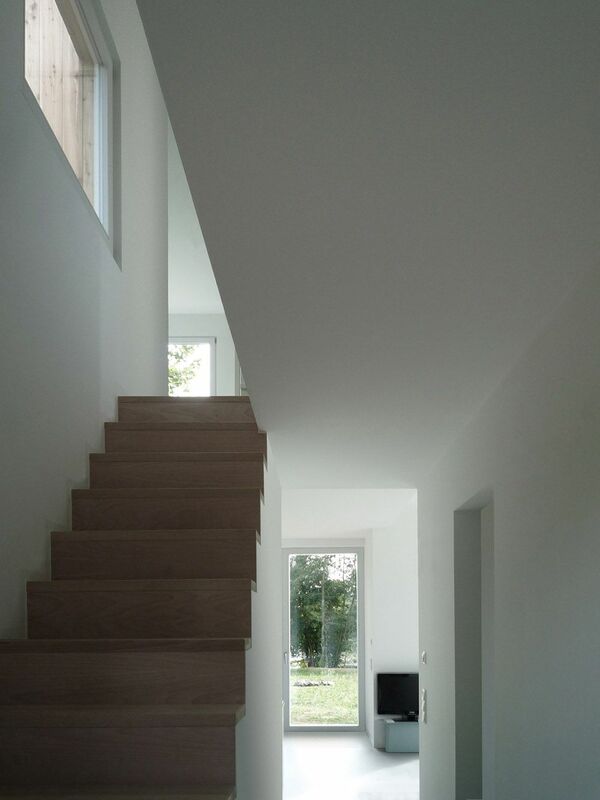 On the ground level an open common space for living and dining is created by the spatial adjustment of the volumes an their different heights. 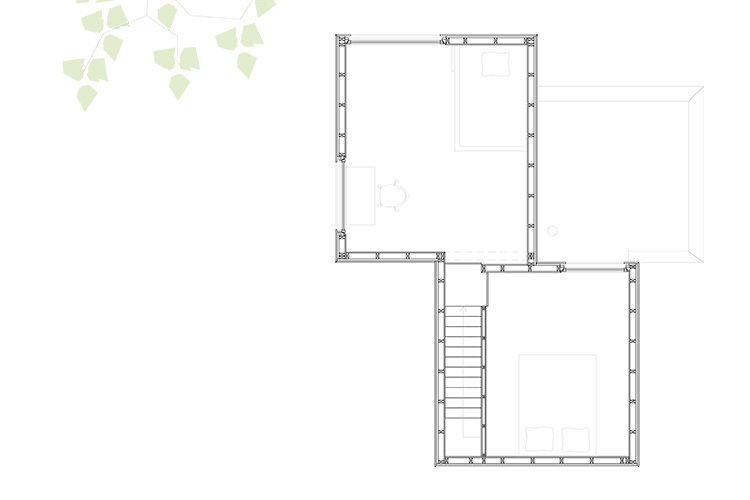 The upper level contains two bedrooms separated by sliding doors.